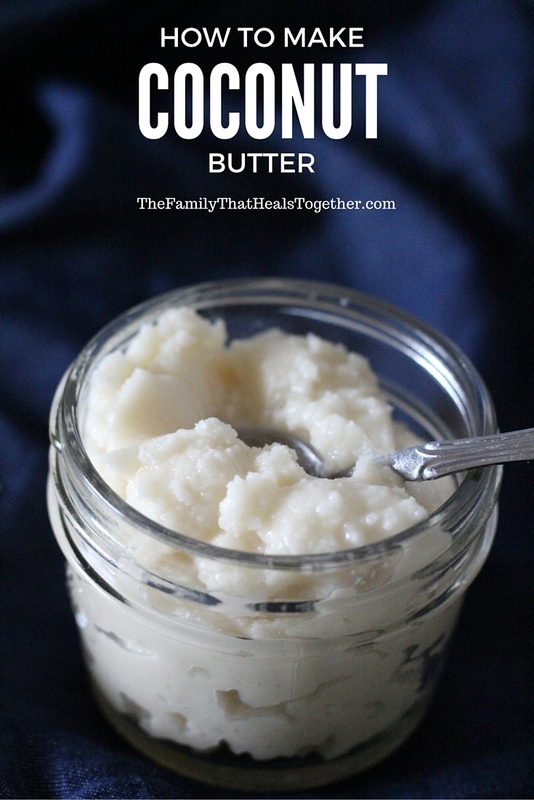 Coconut butter. It’s quite the confusing ingredient for folks, myself included not so long ago. I kind of thought maybe it was basically the same thing as coconut oil… or somehow associated with actual butter. But coconut butter is neither of those things. 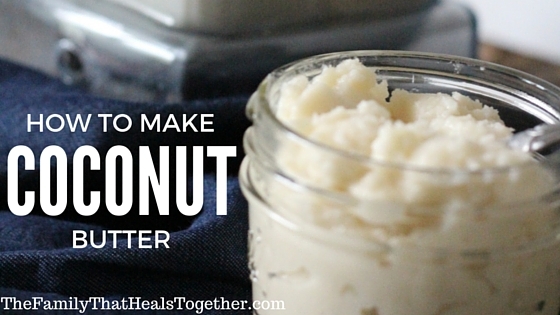 If you think of nut butter and how it’s made from grinding nuts until they are a “butter” consistency, that’s exactly what coconut butter is, but with coconut. Coconut butter actually contains both the meat and the oil of the coconut, so by blending the two smoothly together, you get a butter. And it’s ridiculously easy to make. And ridiculously expensive to buy (though if you really want to buy it, you can! I did for a long time until I had the equipment and know-how to make it myself). You need shredded coconut and a high-powered blender (I use a Vitamix). That’s all. I’ve even used flaked coconut in a pinch, though I think you have better luck with shredded. Pouring 1-2 cups of the shredded coconut at a time into the blender, turn the blender on high and use a tamper tool to push the coconut down into the blades, continuing to push and scrape it until it is all blended smoothly. It will become thick and fairly difficult to continue pushing down. This is why it’s important to have a high-powered blender, because a cheaper one will not be able to turn the coconut into a butter consistency and you will likely burn up the motor trying to do so. Once it has all blended into a thick, paste-like butter, you’re done! That’s it! Coconut butter, with its slightly sweet and salty taste, is yummy on its own, as a fruit topping, in smoothies or ice cream, or as a base for breads and cakes. 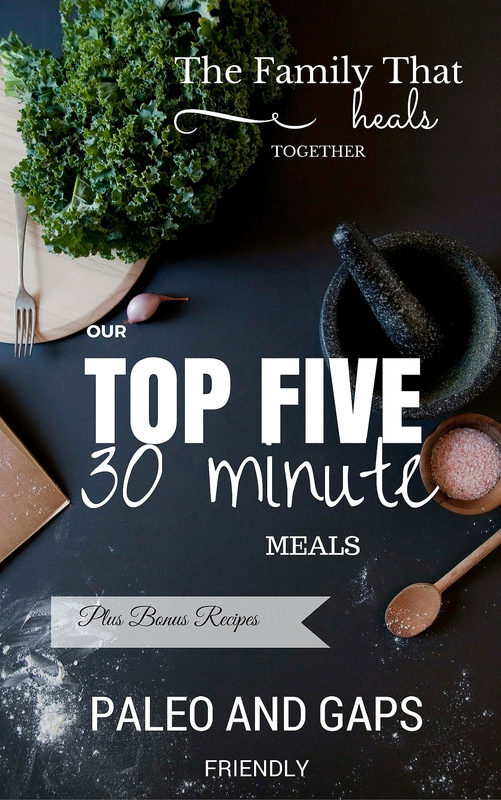 It’s very versatile and nutrient-packed with coconut goodness! For a super special treat, mix it with a little raw honey and a handful of chocolate chips. It’s like eating cookie dough! 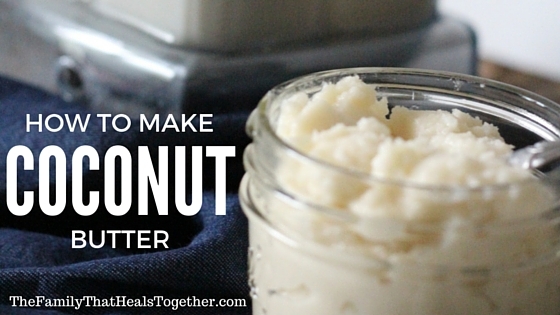 Now that you know how to make coconut butter, do you think you’ll make it rather than buy it? I have been having similar issues with my Adoptive son (my Bio Grandson) he has been in and out of the hospital…spent 8 months in a residential facility. I have just recently came across your article and have been changing his Diet. I have noticed a change in his behaviors. Do you know of any support groups for Parents with Children who have food Allergies? His diagnosis are ODD/ADHD. Is Coconut Butter allowed on stage 1 of the GAPS Protocol? No it is not. It is a full GAPS diet food.